HARARE – South Africa’s main opposition party, the Democratic Alliance (DA), has challenged President Cyril Ramaphosa to take urgent steps to stop the on-going crackdown against dissenting voices by Zimbabwe’s security forces. The party also warned ominously that should Ramaphosa fail to intervene in the matter decisively, the DA would soon call upon the International Criminal Court (ICC) to investigate President Emmerson Mnangagwa’s government. The ICC is an international tribunal that sits in The Hague, in the Netherlands. It has powers to prosecute individuals fingered in crimes related to wanton killings, genocide, crimes against humanity and war transgressions. The DA’s move comes as local rights groups are reporting widespread abuses that are allegedly being perpetrated by soldiers and police, following last week’s deadly riots which left at least 12 people dead and 78 others needing treatment for gunshot wounds. DA shadow minister for International Relations, Stevens Mokgalapa, also warned Ramaphosa yesterday to ditch his “quiet diplomacy” and order Mnangagwa’s administration to halt on-going rights breaches by security forces. “The DA strongly believes that the human rights crisis currently obtaining in Zimbabwe is of sufficient gravity to warrant an ICC investigation because, according to the Zimbabwe Human Rights NGO Forum, at least 12 people have been killed, 78 shot at and 240 have faced assault, torture, inhumane and degrading treatment, ” Mokgalapa said. “President Ramaphosa and his government seem intent on sitting on their hands over the Zimbabwe crisis in much the same manner as Thabo Mbeki’s failed diplomacy. Zimbabwe has once again hit global headlines in the wake of the trail of terror left by security forces, following last week’s protests against the recent fuel price hikes. Human rights groups and medical doctors have told gory stories regarding the abuse of ordinary Zimbabweans, including women and schoolchildren, by soldiers during last week’s mayhem. The DA also said it was wrong for security forces to use disproportionate force against lawbreakers, where other alternative means of controlling the situation were available. “The DA will not stand by while Ramaphosa repeats a ‘Quiet Diplomacy 2.0’ strategy that is sure to produce the same results as (former SA president Thabo) Mbeki’s ill-thought foreign policy. “Mbeki’s silence only served to worsen the human rights climate in Zimbabwe and led to a collapse of the economy, whose consequences are still being felt to this day, with thousands of Zimbabweans flocking to South Africa to seek economic refuge. “Like the ANC, the Zanu PF government is quite simply the same bus filled with empty promises being driven by a different driver who has no power to steer the party in the right direction. “The people of Zimbabwe were promised a new dawn when Mugabe was ousted, much like South Africa when Jacob Zuma stepped down. Both have proven to be myths,” Mokgalapa charged. “The era of comradeship between Ramaphosa’s ANC government and Mnangagwa’s Zanu PF government while human rights are being trampled on with impunity is over. “President Ramaphosa is faced with an easy choice, either he intervenes to stop civilian abuse by the military in Zimbabwe or his government will be one of the parties that will answer to the ICC on why they failed to act to stop the human rights violations,” he added. Meanwhile, the Zimbabwean government has denied that the security forces are behind the crackdown and instead blamed “deserters and imposters” for the abuses. 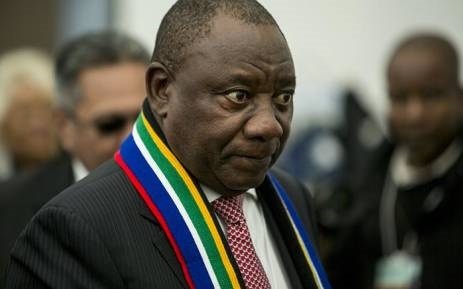 Why can the DA not approach the ICC anyway – why do they have to wait on the reaction of Cyril Ramaphosa? You must remember that you are dealing with an ‘ Old Boys Club ‘. All African leaders who took over as a result of liberation movements, coups etc are part of a cartel where they are untouchable as they look after there own, irrespective of their human rights or corruption issues. They will not condemn one another. Why can’t Da just go to ICC. this abuse of Zimbabweans has gone on long enough. What about the civilians killed in August after the elections. Again they were shot down running for their lives. I don’t see why they haven’t gone to ICC already. Maybe Zimbabweans should approach them themselves as the world seems to be sitting by and allowing this nightmare to continue. Nothing will change until the the whole cabinet is dismantled and everyone is facing charges.